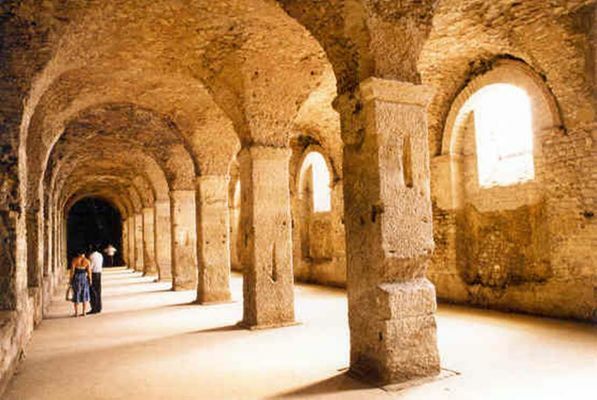 The Cryptoporticus is parlty buried and when it was built, at the beginning of the 2nd century, the basement dealt with bean storage and the surface was a walking space. 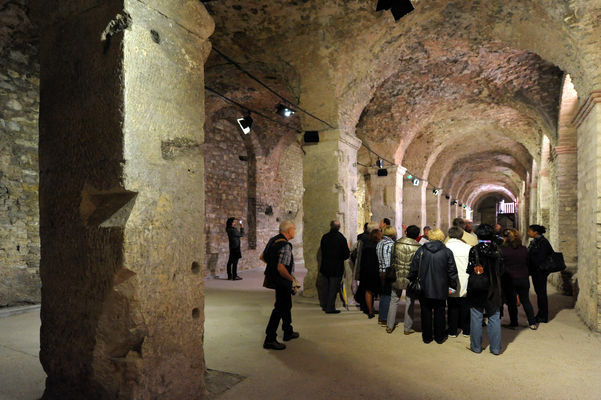 Built circa 100 A.D., these partially buried galleries located beneath the Gallo-Roman forum of Durocortorum were supposed to house a market (its precise function remains unknown). Only the eastern gallery has remained, but it is among the few cryptoporticus of the Roman world to have been excavated. Open from 1 May to 30th September from 2 to 6 pm. Free admittance.